Associate Professor Yalçın ADEMOĞLU was born in 1961 in Turgutlu, Manisa. 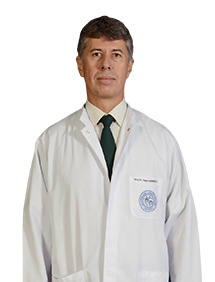 Orthopedics - Traumatology and Hand Surgery Specialist ADEMOGLU's medical interests include hand surgery, peripheral nerve surgery and reconstructive microsurgery. He has been working in the EMOT Family since 1996. He speaks English. He is married and has two children.